The electronic music enthusiast hails from Minnesota, but often pined for the yearlong sunshine and beach culture of California while growing up in a land of long winters. He initially got turned on to bikes through his previous job renting them out to tourists in Fishermans Wharf. He now rides everywhere and anywhere he can- early mornings and lots of climbs preferred. "My favorite San Francisco bike ride starts an hour before daylight, brewing a pot of extra strong coffee." he says. An old idiom states "It takes two to tango," but you'd question that if you've ever seen Nick out on the Mission Bicycle dance (sales) floor. 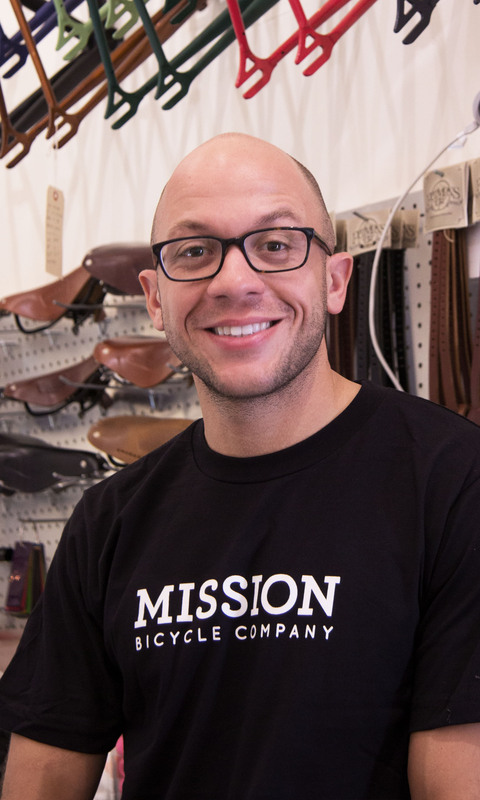 When he's not bouncing around to electronic beats he's hard at work sizing up customers, keeping our schedule kosher, and calling on his design degree to ensure customers walk out with the best looking bike they could imagine. Nick is the only staffer who has won a year's supply of BBQ sauce and finished it in one summer.